Education Secretary Betsy DeVos’ recent interview with Lesley Stahl on “60 Minutes” caused quite a bit of backlash from critics. As my colleague Jonathan Butcher has written, “60 Minutes” ignored many of the facts about the state of education in America. Response to the interview drew quite a bit of criticism of DeVos and her policy solutions. 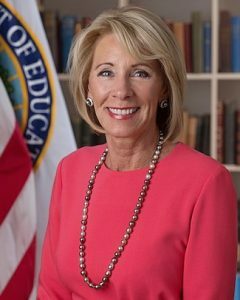 In light of recent evidence from the nation’s report card, “60 Minutes” and other school choice critics should consider that DeVos was correct in her framing of problems facing the nation’s schools and is on the right track with possible solutions—namely, that empowering parents is the right approach to improving American education.